I am humbled today. To imagine that we are so valuable to God that Jesus would sacrifice his life for us! Recently, like millions of Canadians and Americans I watched Dr. Billy Graham’s last sermon(http://myhopewithbillygraham.org/programs/the-cross/). 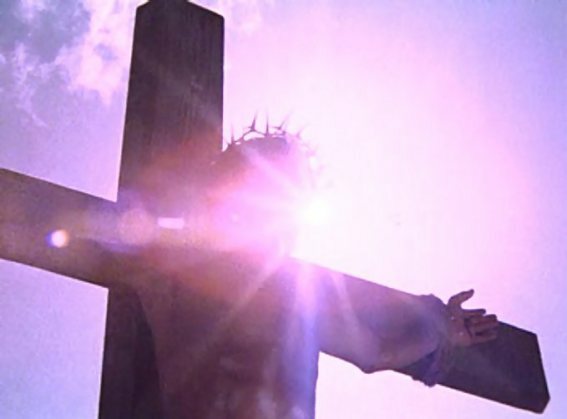 The broadcast was entitled “The Cross”. After hearing the God-story of the two people featured on the video and the message from God’s Word, I am moved beyond words. As a young person who had just come to faith in Jesus, I accompanied our church’s youth group to a weekend conference in Niagara Falls, Ontario. On this particular weekend, one of the keynote messages dealt with the Cross. As a new Christian, I will never forgot how the speaker described how valuable Jesus, God the Son was to God the Father. He talked about all the Son of God had endured to pay the penalty of the debt of sin that I owed. He talked of the Roman scourge and the cruelest form of execution that the Romans had invented called crucifixion. To top it all off, the separation for the first time in all eternity of God the Father and God the Son, you and I cannot even begin to fathom all that meant. For all the human race, Jesus endured the shame of the cross to purchase our freedom from sin’s curse. Have you gotten over it? The pure, holy, lovely Son of God was made subject to the wrath of God so that we could go free! His righteousness was applied to us so that when God the Father looks at us, he sees his Son’s death and righteousness applied. God knew that this was the only way for us to be saved from his wrath. Here is the kicker for me, in John chapter 10, Jesus said that he willing laid down his life for us, no one took it from him, by his own volition he died. If that does not move your heart today you need to see either your cardiologist or your pastor or maybe even both! The world has believed the lie of Satan that what we really need is material possessions, be the king of our lives and in control of everything! There is a reason he is called “the father of lies” in the Bible. He knows that none of those things can bring us real joy or satisfaction that lasts more than a day. But we keep trying. Even those who say they are Christians have fallen into his trap. What the world needs now is the gospel. But the gospel is difficult, the gospel is insulting because we cannot do anything to make ourselves acceptable to God. You cannot save yourself! The Cross of Jesus Christ is foolishness to the human race because we really think can make it on our own. Deep down we know we cannot unless God changes our heart. I am grateful that the Cross of Jesus, this gospel of Jesus Christ, is the only way that I can find true life. I have found out that I not only needed the gospel that day in 1978 but I need the gospel everyday! I need his grace to mold my character and shape my future. What I need now is the gospel. You and I are so valuable to God that He would endure the cross for sinners like us. Absolutely amazing! We are eternally grateful. Does that humble you, too?